How does a woman go from being told to sit at the back of a plane, to building them? The Vice president of engineering, modifications and maintenance for “Boeing Global Services” says she was left out, locked out and looked down upon as she aspired to become a world-leading engineer. And it was not easy for her to develop a formula for success. She had a seemingly meteoric rise to the crest of her career, and it is awe-inspiring when you consider all that Joan Robinson-Berry endured. Gattaca (LON:GATC) (formerly known as Matchtech Group) has grown into an international business with more than 800 staff around the world. 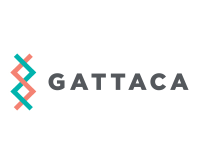 The Gattaca group of companies consists of a number of specialist recruitment brands including the UK’s number one engineering recruitment specialist (Matchtech) and a top five technology recruitment specialist (Networkers). Click GATC for the full archive. Is It Still Worth Becoming An Engineer?